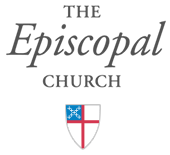 Each year, parishes are required to submit their Annual Lay Delegate Forms in effort to prepare information for Annual Convention. We have streamlined this process and have created the option to submit this form online. To complete the Annual Lay Delegate Form, click here. For questions, please contact Canon Alexis Guszick, aguszick@diocesecpa.org or (717) 236-4059 x. 1108.